The Goat is a small dive bar located in Raleigh, NC. 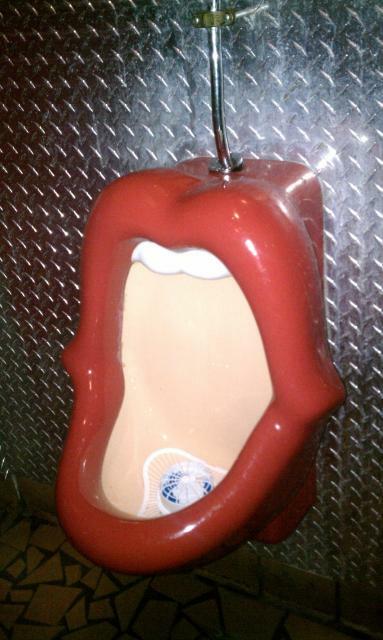 The Goat showcases a rare example of the famous dutch Kisses urinal. This earned The Goat the title of the "most unusual water closet to be found in Raleigh", as evidenced by the newspaper clipping attached above this very installation.